Updated brief tab: Amanita magniverrucata. Updated techtabs: Amantia magniverrucata and A. sp-56. Usage statistics: On 21 December our usage for 2013 exceeded 60,000 visits; at this time we have downloaded 49.40 GBytes of data to our users this year. Please, consider a donation (here) to help us secure the future of this site. Coming attractions: An e-journal "Amanitaceae" will have its first issue in the New Year. It will be published by RET and will soon be found at http://www.amanitaceaethejournal.org. New taxon page: Amanita sp-56, a new species of Amanita stirps Sororcula, with the general appearance of A. rhacopus except for a larger and flaring limbus internus on the lower stipe. It came to our attention because it is genetically separable from A. rhacopus and related taxa. Updated brief tab: A. sp-56. Updated techtabs: Amanita dulciarii, A. sinicoflava, A. sp-56, and A. vulpecula. New taxon page: Amanita sp-C17 is a new page for an apparently pantherinoid taxon known from Marin County, California. It was originally misdetermined as close to A. magniverrucata, which through a series of unlikely events led to four sequences derived from the material being represented as being from A. magniverrucata in the "big tree" produced by Wolfe et al. (2012). The error has been corrected in GenBank thanks to the support of Dr. Conrad Schoch and anonymous GenBank editors for which RET is very grateful. We are able to provide at least some morphological information on the organism thanks to the support of the original collector—Ron Pastorino. Updated brief tabs: Amanita lesueurii and A. wadjukiorum. Updated techtabs: Amanita regalis, A. silvicola, and A. smithiana. Updated techtab: Amanita longicuneus and Amanita sp-N44. Updated techtabs: Amanita farinosa sensu Thiers, A. magniverrucata, A. mutabilis, A. onusta, and Limacella sp-Krstic-20-xi-2010. Updated techtabs: Amanita cinereoconia, A. longipes, A. magnivelaris, and A. rhacopus. Usage statistics: Today our usage for 2013 exceeded 56,000 visits; at this time we have downloaded 46.52 Gbytes of data to our users this year. Please, consider a donation (here) to help us secure the future of this site. New taxon pages: Amanita lesueurii, A. sp-QUE01, and A. wadjukiorum. Updated techtabs: Amanita dulciarii, A. fibrillopes, A. lesueurii, A. morrisii, A. multisquamosa, A. mutabilis, A. rhacopus, A. sp-QUE01, A. sp-T01, and A. wadjukiorum. Updated brief tab: Amanita tephrea. Updated techtab: Amanita atkinsoniana, A. chlorinosma, A. mutabilis, A. tephrea, and A. vulpecula. Updated techtabs: Amanita arkansana, A. sp-Hesler-22051 and A. sp-MO01. Updated techtabs: Amanita chrysoblema, A. dulciarii, A. jacksonii, A. muscaria, A. muscaria var. guessowii, A. muscaria var. persicina. Milestone for this site: During the night (US eastern standard time), our usage statistics software recorded the millionth hit on this site for the year 2013. The team (no longer the "Roosevelt team," now the "New Jersey-Texas team") are to be congratulated for their creativity and hard work. We extend our thanks to all our correspondents and collaborators who have kept us hopping on many projects large and small. We thank our user community who is creating another record year in terms of their visits to this site. Updated brief tab: Amanita limbatula. Usage statistics: Today our usage for 2013 exceeded 52,000 visits; at this time we have downloaded 43.47 Gbytes of data to our users this year. Please, consider a donation (here) to help us secure the future of this site. New taxon page: Amanita vulpecula. Updated brief tab: Amanita limbatula and A. vulpecula. Updated techtabs: Amanita limbatula, A. vulpecula, and A. sp-amerirubescens02. Updated brief tabs: Amanita sp-amerirubescens01, A. sp-amerirubescens02, and A. sp-amerirubescens04. Updated techtabs: Amanita sp-amerirubescens01, A. sp-amerirubescens02, and A. sp-amerirubescens04. Updated brief tabs: Amanita sp-amerirubescens04 and A. sp-N44. Updated brief tab: Amanita sp-36. Updated techtabs: Amanita sp-OR01 and A. sp-WA03. Updated brief tab: Amanita sp-WI01. Updated techtabs: Amanita muscaria var. guessowii, A. sp-lavendula01, and A. sp-OR01. Usage statistics: Today our usage for 2013 exceeded 48,000 visits; at this time we have downloaded 40.41 Gbytes of data to our users this year. Please, consider a donation (here) to help us secure the future of this site. New name: For nomenclatural reasons the name A. punctata is replaced by A. cheelii. New taxon pages: Amanita sp-OR01, A. sp-WA03, and . sp-WI01. Updated brief tabs: Amanita sp-OR01 and A. sp-WA03. Updated techtabs: Amanita phalloides, A. smithiana, A. sp-OR01, and A. sp-WA03. Page naming error corrected: We found that we had two pages under the name Amanita sp-CR18. The correct instance was an entity assigned to subsection Gymnopodae. The taxon with the incorrect temporary code was a species of section Validae that has now had its temporary code name corrected—A. sp-CR15. Updated brief tabs: Amanita s-M17 and A. sp-N47. New taxon page: Amanita umbilicata. Updated techtabs: Amanita sp-N47 and A. umbilicata. New taxon page: Amanita sp-amerirubescens01, A. sp-amerirubescens02, and A. sp-amerirubescens04. Updated brief tabs: Amanita rubescens var. alba, A. sp-36, A. sp-amerirubescens01, and A. sp-N47. Updated techtabs: Amanita amerirubescens, A. rubescens var. alba, A. sp-36, A. sp-amerirubescens01, A. sp-amerirubescens02, A. amerirubescens04, and A. sp-N47. Updated brief tab: Amanita flavorubens. Usage statistics: Today our usage for 2013 exceeded 44,000 visits; at this time we have downloaded 32.25 Gbytes of data to our users this year. Please, consider a donation (here) to help us secure the future of this site. Updated brief tab: Amanita williamsiae. Updated techtabs: Amanita amerirubescens, A. brunnescens, A. muscaria var. guessowii, A. parcivolvata, A. rubescens var. congolensis, and A. sp-C13. Updated brief tabs: Amanita augusta and A. sp-NW04. Usage statistics: Today our usage for 2013 exceeded 40,000 visits; at this time we have downloaded 29.57 Gbytes of data to our users this year. Please, consider a donation (here) to help us secure the future of this site. Updated brief tab: Amanita augusta. Updated brief tab: Amanita roseolamellata. Updated brief tabs: Amanita sp-AUS02 and A. sp-AUS03. Updated techtabs: Amanita cinereoconia, A. magniverrucata [removed suspect DNA sequence data], A. populiphila, A. smithiana, and A. verna. Taxon page deletion: Amanita sp-Justice-AR-AM-7 was subsumed within A. arkansana. Taxon page addition: Amanita sp-AUS03 is added to the Caesareae. Updated brief tab: Amanita sp-AUS02. 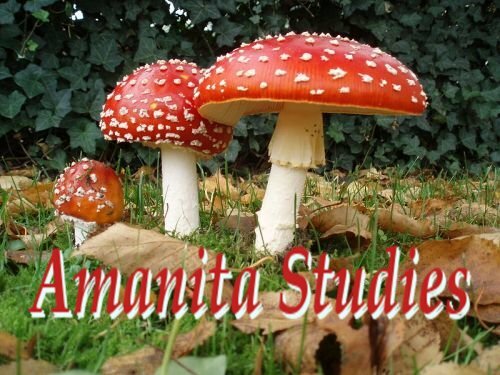 Updated techtabs: Amanita arkansana, A. sp-AUS02, and A. sp-AUS03. Usage statistics: In recent days our usage for 2013 exceeded 36,000 visits; at this time we have downloaded 26.54 Gbytes of data to our users this year. Please, consider a donation (here) to help us secure the future of this site. Updated brief tab: Amanita sp-lavendula01. Updated brief tab: Amanita sagittaria. Updated techtab: Amanita sagittaria, A. sp-lavendula01, and A. sp-lavendula02. Updated techtabs: Amanita aprica, A. novinupta, and A. phalloides. Updated brief tabs: Amanita austrostraminea and A. sagittaria. Usage statistics: Today our usage for 2013 exceeded 32,000 visits; at this time we have downloaded 22.81 Gbytes of data to our users this year. Please, consider a donation (here) to help us secure the future of this site. Updated techtabs: Amanita amerirubescens, A. porphyria, and A. rubescens var. alba. Updated techtabs: Amanita sp-lavendula01 and A. sp-lavendula03. Updated brief tabs: Amanita neoneglecta and A. radiata. Updated techtabs: Amanita media, A. neoneglecta and A. radiata. Usage statistics: Today our usage for 2013 exceeded 28,000 visits at this time we have downloaded 19.97 Gbytes of data to our users this year. Please, consider a donation (here) to help us secure the future of this site. Updated techtabs: Amanita daucipes, A. praelongispora, and A. ravenelii. Updated techtabs: Amanita sp-N17 and A. sp-O02. Updated techtabs: Amanita flavorubens, A. phalloides, A. porphyria, and A. volvata. Name change: Amanita sp-F03 becomes Amanita sagittaria, a provisional name of Tulloss. Usage statisticsToday our usage for 2013 exceeded 25,000 visits in 2013; at this time we have downloaded 17.63 Gbytes of data to our users this year. Please, consider a donation (here) to help us secure the future of this site. Updated techtabs: Amanita breckonii, A. brunneolocularis, A. constricta, A. garabitoana, A. novinupta, A. pachycolea, A. pakistanica, A. ristichii, and A. sinicoflava. Usage statisticsToday our usage for 2013 exceeded 22,000 visits; at this time we have downloaded 15.07 Gbytes of data to our users. Please, consider a donation (here) to help us secure the future of this site. Service interruption: The host of the tullabs.com server went into incipient failure mode yesterday afternoon, and all tullabs.com websites (including WAO) went black for the rest of the day. We saw surface restored in the early morning hours of today (U.S. Eastern Daylight Time). We apologize to our users for the interruption of service. The cloud is made of hardware...after all. Updated techtabs: Amanita sp-lavendula01, A. lavendula02, and A. lavendula03. Updated brief tab: Amanita elliptosperma and A. subphalloides. Updated techtabs: Amanita amerirubescens, A. aprica, A. farinosa, A. muscaria var. guessowii, A. pelioma, A. sp-CR14, and A. spreta. Updated brief tab: Amanita rhopalopus. Updated techtabs: Amanita abrupta, A. canescens, A. daucipes, A. flavoconia, A. muscaria var. guessowii, A. rhopalopus, and A. sp-S04. Change of name: In preparation of coping with the naming of the common North American muscarioid taxon, we have replaced the name A. muscaria var. alba with A. chrysoblema. This provides a name at species rank that may be appropriate to subsume the multiple color variants (red, yellow, and white) now divided into separate taxa in these pages (and elsewhere). Updated brief tab: Amanita murrilliana. Updated techtabs: Amanita aprica, A. arkansana, A. banningiana, A. chrysoblema, A. jacksonii, and A. murrilliana. New taxon page: Limacella sp-Russell-MO107737. Updated techtabs: Amanita amerirubescens, A. flavorubens, and A. submaculata. Updated brief tab: Amanita gioiosa. Usage statisticsToday our usage for 2013 exceeded 19,000 visits; at this time we have downloaded 12.88 Gbytes of data to our users. Please, consider a donation (here) to help us secure the future of this site. Updated techtabs: Amanita brunnescens f. straminea, A. crenulata, A. morrisii, A. sp-lavendula01, A. sp-lavendula02, and A. sp-lavendula03. Updated techtabs: Amanita nauseosa and A. sp-lavendula01. New page: Amanita muscaria var. alba. Updated techtabs: Amanita augusta, A. muscaria, and Amanita muscaria var. alba. Updated techtabs: Amanita augusta, A. muscaria var. guessowii, and A. muscaria var. persicina. Altered pages related to Amanitaceae genetics: Instead of providing a flatfile template for nrITS sequences, we now supply a "fasta" format template for input to Sequin. User statistics: Late last night (U.S. Eastern Daylight-Savings Time). we exceeded the 16,000 user visits mark for 2013 and have now downloaded 10.83 Gbytes of data to our users this year. Please, consider a donation (here) to help us secure the future of this site. Updated brief tabs: Amanita sp-lavendula01, A. sp-lavendula02, and A. sp-lavendula03. New taxon page: Limacella illinita var. rubescens sensu Neville and Poumarat. Updated brief tabs: Amanita sp-lavendula02 and A. sp-lavendula03. Updated techtabs: Amanita sp-lavendula01, A. sp-lavendula02, A. sp-lavendula03, and Limacella illinita var. rubescens sensu Neville and Poumarat. User statistics: Today we have exceeded the 13,000 user visits mark for 2013 and have now downloaded 9.09 Gbytes of data to our users this year. Updated techtabs: Amanita brunnescens, A. cruzii, A. roseitincta, A. sp-Kerala01, A. strobiliformis, and A. whetstoneae. Updated techtabs: Amanita aestivalis, A. brunnescens, A. virosa, and A. whetstoneae. Updated brief tab: Amanita whetstoneae. Updated brief tab: Amanita citrina f. lavendula. User statistics: Today we have exceeded the 10,000 user visits mark for 2013 and have now downloaded 7.11 Gbytes of data to our users this year. We are on track to see our users double their total download volume over our previous bandwidth high (last year). Please, consider a donation (here) to help us secure the future of this site. Updated brief tab: Amanita zambiana. Updated brief tabs: Amanita sp-CR14, A. sp-CR18, and A. sp-T01. Updated techtabs: Amanita brunnescens, A. sp-CR18, and A. sp-T01. New taxon page: Amanita sp-CR14—a possible new species provisionally placed in sect. Phalloideae from Costa Rica. Updated brief tab: Amanita sp-CR18. Updated techtabs: Amanita solaniolens, A. sp-CR14, and A. sp-CR18. New taxon page: Amanita sp-CR18—a citrinoid species known from Costa Rica. Updated techtabs: Amanita brunnescens f. straminea and A. sp-CR18. Updated techtabs: Amanita sp-lavendula01, A. sp-lavendula02, A. sp-lavendula03, and A. zambiana. Updated techtabs: Amanita sp-lavendula02, and A. zambiana. Updated brief tab: Amanita brunnescens f. straminea. Updated techtabs: Amanita brunnescens f. straminea and A. zambiana. Updated techtabs: Amanita sp-lavendula03 and A. zambiana. New pages: Amanita sp-lavendula01, A. sp-lavendula02, and A. sp-lavendula03. Updated techtabs: Amanita citrina f. lavendula, A. sp-lavendula01, A. sp-lavendula02, and A. sp-lavendula03. Updated techtab: Amanita citrina f. lavendula. User statistics: Today we have exceeded the 7000 user visits mark for 2013 and have now downloaded 5.17 Gbytes of data to our users this year. Please, consider a donation (here) to help us secure the future of this site. Updated techtab: Amanita citrina f. lavendula [interesting new molecular information on the curious group of taxa known under this name]. Updated brief tab: Amanita tlaxcandela. Changed name: The page formerly called Amanita sp-N29 has been renamed Amanita aureosolea. Updated brief tab: Amanita aureosolea. Updated techtabs: Amanita calyptratoides and A. tlaxcandela. Revision of sectional placement: We have revised the placement of most of the sequestrate amanitas according to the phylogenetic finds of Justo et al. (2010). This adds two stirpes to section Amanita. Among the sequestrate species, only one species of the former genus Torrendia now remains in section Caesareae—Amanita torrendii (≡Torrendia pulchella). Updated brief tabs: Amanita calyptratoides and Limacella myochroa. New taxon page: Amanita tlaxcandela nom. prov. Updated techtabs: Amanita calyptratoides, A. flammeola, and A. tlaxcandela. User statistics: WAO user visits in January 2013 were up 27% from January 2012. We are very grateful for our users' expanding interest in this site. Please, consider a donation (here) to help us secure the future of this site. Updated brief tabs: Amanita loosii and A. pudica. Site usage: Today we received our 4,000th visit of 2013. So far this year, we have downloaded 2.83 Gbytes to our readers. Updated brief tab: Amanita tanzanica. Updated brief tab: Amanita crebresulcata. Updated techtabs: Amanita annulatovaginata var. citrina and A. flammeola. Addition of bibliography: An additional bibliography (at present limited to sources utilized in the Roosevelt group's collection, study, and annotation of DNA sequences in general and of the nrITS region's sublocus variable terminal strings and more conserved motifs. Site usage: Today we received our 1,000th visit of 2013. Updated brief tab: Amanita pruittii. Welcome to 2013 at < www.amanitaceae.org >. Previous years' news is found on subordinate (child) pages of this page. We extend our best wishes for a healthy and productive 2013 to all our readers.